We know we have been silent for quite a while, we've actually been busy with our day jobs and for the most part just hanging out, and we also forgot to bring out our cameras in instances we wanted to talk about an experience. But we have not been that lazy we've actually been doing stuff that we never thought we'd be doing. First up from our chest of adventures come Davao Wildwater Adventure, a.k.a White Water Rafting or Shooting the Rapids. Reservations may be made online here. 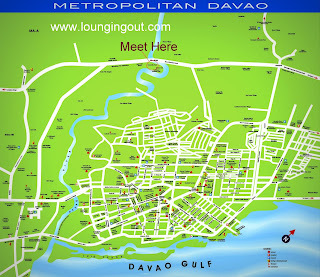 The meet up place is Davao Crocodile Farm, just in the outskirts of the downtown area (busiest part of the city). 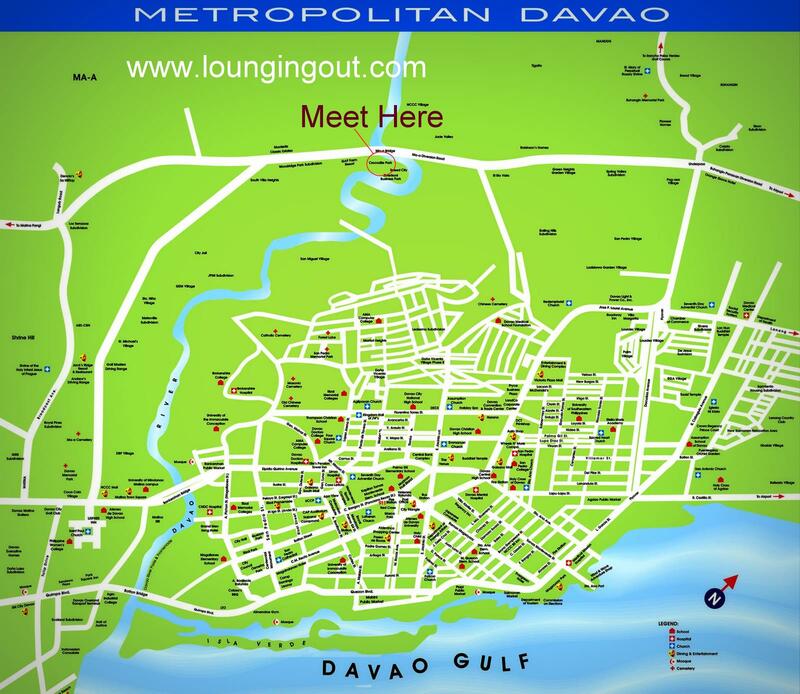 Every Cab driver in Davao City knows where it is. For more details you may check here. We were also informed that for experienced rafters who want to avail of their "Extreme Adventure Package" you may inquire with the company directly as they are seasonal depending on the current and depth of the river. Though we recommend wearing long sleeved shirts/top or you may choose to wear sleeveless shirts/top, but don't forget your sunblock as you will be under the sun for a number of hours. Also wear shorts not jeans (maong pants) as the latter would make you heavier to lift back into the raft in case you fall in the water. Wear rubber sandals preferably with straps. Refrain from wearing shoes as they will get wet during the trip, but you may do so if you don't mind wearing wet shoes for hours. Also, please white water rafting is a recreational activity, do not, we repeat, DO NOT wear high heels! Don't forget you sunblock, for the body and the face unless you want to get burned. The guides have a joke that the only injuries any of their guests have suffered have been sunburns, so don't be a part of the joke. If you choose to wear sleeveless shirts/tops put some on your arms, put some on your legs as well if you are wearing shorts and don't forget to put some on you face. You don't have to bring food, the package includes packed lunched and water. You don't have to bring cameras, the company will take the pictures for you. Bring clothes. You may leave them at the lockers. When you arrive at the assembly area at Crocodile Park, you will be required to execute a waiver and you will will be suited up for the activity. They will provide you with life vests and helmets. They also have lockers where you may deposit your valuables and other items. You may bring your own locks for additional security. Though we would advise against bringing unnecessary items to the activity. You are not expected to arrive until around 9 am, but if you do not want to rush, be their early so you can enjoy the crocodile park which opens at 830 am. In our case, we waited longer than usual because some people were late. A piece of advise: don't be part of that group that everyone remembers came late. When all participants have arrived, you will be given an introduction and you will be briefed on what to expect and what to do in certain circumstances. After the short briefing, you will be separated into groups and will be assigned your guides and you will travel from the Davao Crocodile Farm to Tamugan together with your guide and rafts. We travelled around 45 minutes to an hour to get to Tamugan. If you plan to bring your own vehicle (we strongly recommend against it, be sure that it can survive very rough roads traversing large rocks. The travel to Tamugan is mostly along a highway, but the rough road from the highway to the river is really rough and would certainly damage your suspension. Upon arrival in Tamugan pictures will be taken and you will be briefed again on what to do and and what not to do. NOTE: LISTEN TO THE INSTRUCTIONS. It would mean you know how to be safe in all instances and by doing so you would be able to enjoy the activity more. Before we head on to the rapids, we were instructed on how to rescue other participants in case they fall on the water. At this point, everyone on the raft gets wet! When we first saw the rapids, we had mixed emotions of excitement and apprehension. But once we got our first experience taking it head on, we had to admit that it was truly an exhilarating experience and we couldn't wait for the next one to come. The prospect on taking the rapids was no longer as daunting as we thought it would be, more like it was something wanted to experience over and over again. The deeper we got into the rapids the more exhilarating it was. Of course everything change when we fell into the water! The guides were busy assisting and reassuring some of the participants and taking pictures of the activity but they know the river enough to enjoy the white water as well. We even had an opportunity to voluntarily get into the river and drift down with it in several portions of the river. Then after taking a dip, we had our lunch in one of the most peaceful portions of the river. We head on the the higher grade parts of the river, which means the rapids are rougher than what we encountered earlier in the day. We just had to try it! We say luckily, because it meant that we weren't the only ones who enjoyed it as much as we did. Capsizing is awesome! And the best part is? You can ask the guide for an experience when you assemble at the Crocodile Farm. We recommend that you do, it would be a waste not experiencing it at least once! There are several rest spots we enjoyed and had our pictures taken. Before we knew it we had reached the end of the adventure and we had to go back to Davao Crocodile Farm. We had a short shower before leaving to clean off the river water from our bodies and clothes but everyone went back to the assembly area wet. 7: We had a great time with our group and the guides and it was truly an amazing experience we want to repeat as soon as we can! After falling in the river at least twice and capsizing once, we could say "Sulit!" (It was worth it!). Wow is this really in Davao? So many places to go in the Philippines! It really is more fun in the Philippines right? Is there a discount for large groups or group packages?